BES Bollmann has more than 40 years of experience in producing tailor-made, state-of-the art drying and control systems for the timber processing industry. 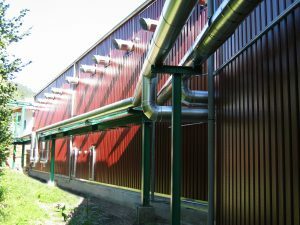 BES Bollmann is specialized in drying kilns, electronic control equipment for timber drying and moisture metering equipment (from simple moisture meters to instruments combined with data acquisition systems). The company is well-known with its high quality products with long operational life, efficient and maintenance-free operations. BES Bollmann is based in southern Germany and a subsidiary of KARA Energy Systems since 1995. 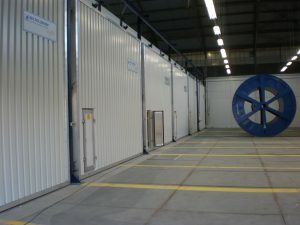 The drying technology of BES Bollmann is based upon scientific computer programs, where every drying cycle is individually controlled and analyzed. A correct control system is a crucial part of every drying kiln. Precise climate and moisture measurement with temperature- and climate sensors, in a fast and easy way, is also a must. BES Bollmann provides the most modern controlling systems not only for new drying kilns, but could also ‘buck up’ your old ones. Browse the different controlling options by BES Bollmann here. Also in Bulgaria, a good number of BES Bollmann kilns are in operaiton, in some cases already for many years, see the map. The 40 years of experience in the wood processing industry allowed us to provide you a suitable drying solution for each timber specie and thickness. Tell us the type of wood you are processing (timber specie, thickness, moisture content) and your specific requirements and needs and we will provide you the right for you drying or/and controlling equipment. conditioning chambers and halls, etc. Ask us about variations and features of the systems. BES Bollmann also produces a wide variety of electronic control equipment for timber drying and moisture meters . Wood drying is a continuous and a time consuming process, especially for slow drying timber species like oak or for timber with high humidity content. 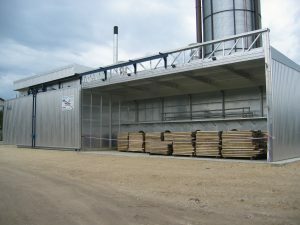 A controlled drying process through a drying kiln, instead of drying in the open air, would speed up the process considerably, while providing better drying quality and decreasing the storage space wood processors require. Companies from the food, processing and paper industries might be interested in our special options for drying, degassing or treatment of their particular products. Ask us for details.